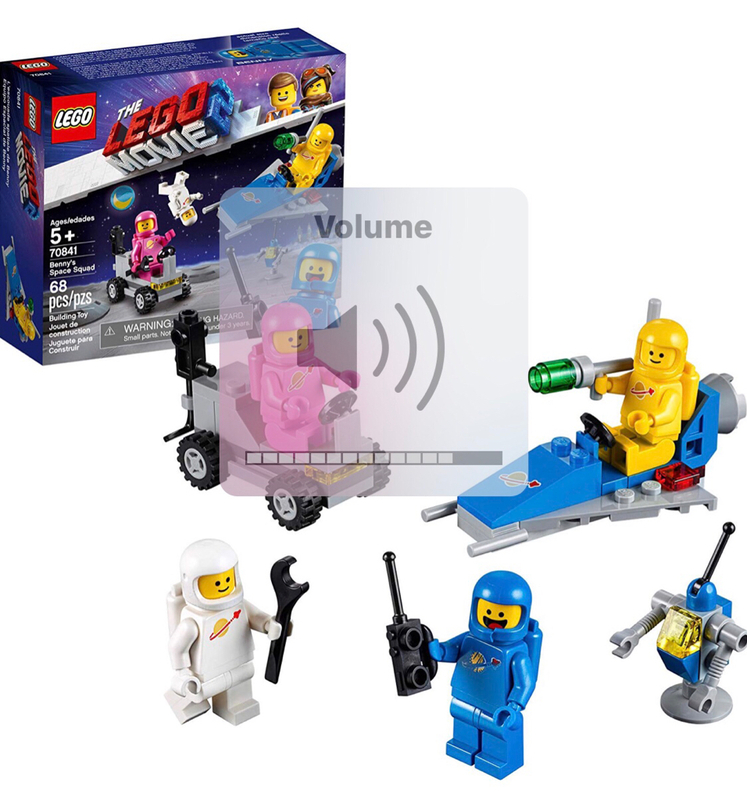 So, for everyone who is a Space fan, there is a four pack of Classic Space minifigs out for the second Lego movie. Blue (Benny of the cracked chin strap), white, pink and yellow. And I wouldn't be surprised if we see red, black, grey and maybe green later on in the year, assuming they can find enny one to volunteer. Walmart and Target it have in the US for about $10, Amazon the same. 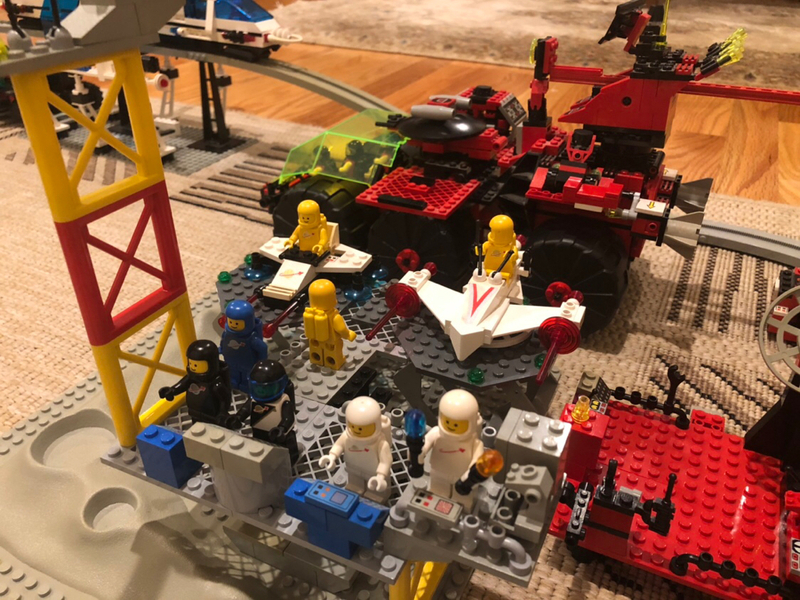 And as ironraven mentioned, this Lego Movie 2 set has 4 (!) classic space fig remakes in crazy colors AND it’s only $10! Minidolls are kinda creepy to begin with. To me, they look like scary elves next to minifigs. Which works, since the trinity of all fantasy games are humans, elves and dwarves. So for how I use them with RPGs they work. Still creepy. I only have a few, but I only need a few. 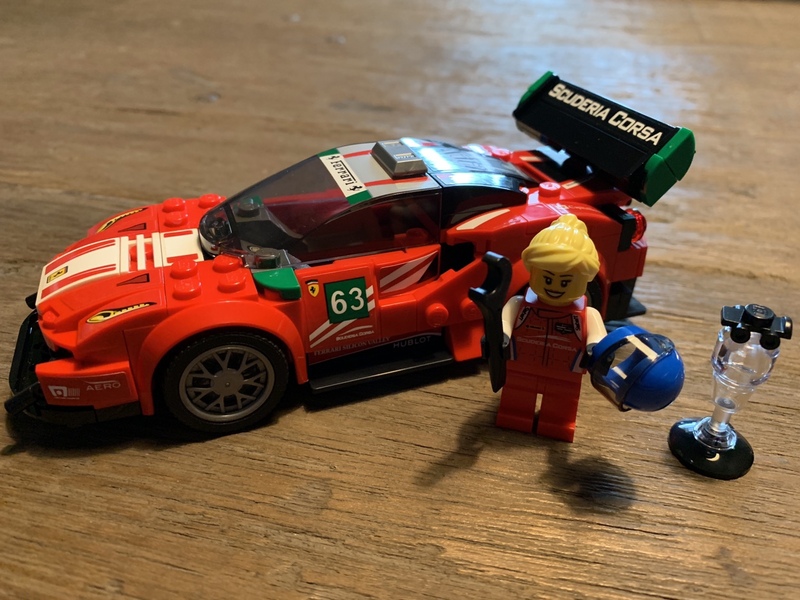 Their heads are just a smidge wider than a minifig's, so you can migrate their hair over to real Lego people, so if you can buy their hair on a reseller's site you can get some good hair. And... they have a standard 3.18mm neck stud. Same diameter as a bar. You want decapitated heads on pikes? There you go. Various height bars, minidoll heads, and a bit of silly putty or playdoh, make a veritable garden of them. I've created quite some scary scenes with those heads and other stuff. Too bad the legs and torsos are basically incompatible with other Lego parts. They don't really fit the System. 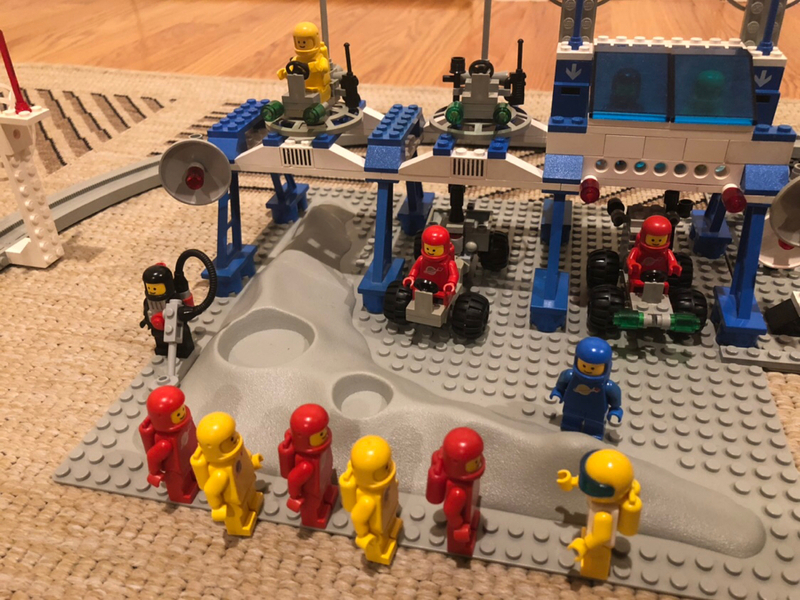 Well, Lego does break down, technically, into System (the main bricks), Technica (unpowered machinery), Mindstorms (robotics), and Duplo (the big stuff). So no, minidolls aren't really in the "System". But calling it "System" is like saying "comely female" rather than "pretty girl". The former will get you slapped. Calling normal Lego "system", well, you won't get smacked, but I'll think you're a tool unless we're discussing difficulty level of a build. And yes, there was Klik and Modulex, but they are so rare I don't count them. Thought you peeps might enjoy this ! Couldn't resist to buy this box this afternoon. So... this isn't LEGO in the purest sense. I play with a tool call Studio for doing test builds in the computer- like most such tools, it does rendering, but it also is from Bicklink so I can use their system to order parts if I feel the urge. And it will help to be familiar with set 30547. If you aren't, click here. If you're wanting, you need to move fast- they hit Walmart and Target's inventories in November at the end of their release cycle. Amazon might still have some. I know my local Walmart is out- don't ask how I know this... To me, these guys look like the komainu you see outside Buddist temples (Japanese name, shi-shi in China, "fu dog" to ugly english speakers) and I bought several pairs of them. But... I'm looking at them, and the seem small for dragons. Like they're cubs. So I got to thinking, what would they look like fully grown. We now return you to TLG's Wild, Wild World. My guide and I set out to follow these four young white lion dragons as they left their mother. They've spent the past year with her, and are mostly grown, but aren't ready to be separated from each other quite yet. Normally a litter of cubs would only be two, but these four will need a large area to supply them with food. Nearing the third sunset of our trek, we came across rover tracks. Fearing poachers, we radioed the rangers, as there is no motor vehicle traffic allowed in the preserve. We were told it would be at least an hour until an aerial search and interdiction team could reach our location. Rather than setting up camp, we dropped most of our equipment. Armed with cameras, our radio, two machetes and a stud shooter, we set out on foot, hoping to at least find evidence of the atrocity we feared. As the sun set with the suddenness of tropical twilight, we could see the headlights of the poachers' vehicle perhaps a mile ahead. They'd herded the cubs against the river, something these young ones had never seen before and were afraid to cross. We set one camera on a tripod, and left it to record as the frightened cries of the four could be heard as we got closer But we were not alone in tracking the poachers. Unlike actual big cats, males of the Draco Pseudofelis genus do not routinely attack cubs who stray into their territory. Many of them actually seem to like young ones who've reached the age to leave their mother but aren't yet fully grown. Pseudofelis noir, or the Black Blade-lion, in particular is quite gregarious, with brothers often staying together for many years, and even adopting cubs of other species in their second year. A roar cut through the dark savanna. And then there was screaming, and the pop of stud shooters. And then... much less screaming. And then the rover's lights went out. My guide and I stopped maybe a hundred yards away from where the rover was and surveyed the scene with the combination of night vision and a telephoto lenses. The Comic Code Authority has deemed the footage of the cubs being rescued too graphic for day time television. I won't even try to describe what I saw, other than night came alive and it was unhappy. Then the wind shifted, carrying our scent towards the dragons. You can see here the Black Blade-lion's head as a just dark shape above the grass, while it's tail blade scythed the tops off the grass. The camera's night vision captures the brightness of the eyes, but not the redness. This male could smell us, and we smelled like ABS. There was no point in our running as it dashed towards us. I hurriedly pushed my guide's stud shooter down, and slapped it out of his hands as I hissed 'don't move, for the love of Vitruvius'. And then he was on us. Even the relatively low resolution of the GoStud strapped to my chest could capture what happened next clearly. Only a little taller than the cubs, this male was much wider, and much stronger. Look at the power of the shoulders and haunches. The fore-sickles of this blade-lion and the length of the eartennas spoke of a male who's lived a long time, but had lost none of his strength and cunning. He spotted the stud shooter and pinned it under one of his massive paws while he sniffed first my guide, then me. I was trembling as he sniffed at me, red eyes gleaming under a slivered moon. As his mouth opened, I felt small. And recyclable. Then he licked my face. I probably tasted good. I could feel my body clutch in fear. Then he stepped back and watched us. As he did so, a smaller white face appeared in the grass. Then another. Three, four. They each sniffed us, and chirped and clicked to us and their new friend. He relaxed considerably- had the cubs told him that we were safe? That they knew us? That was when the rangers arrived. The five dragoncats looked towards the sound of the tilt rotor and tensed. As the searchlights came on, they disappeared into the grass. That was the last footage we got of them. We all know dragons of all types are intelligent. But what happened to the poachers has caused me re-evaluate what I thought I knew about them. 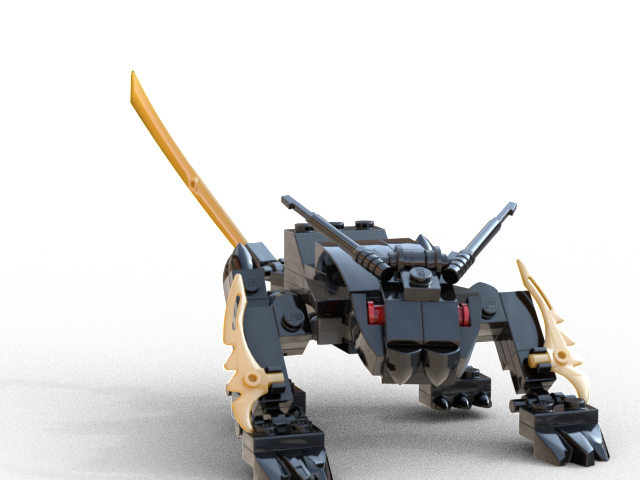 Not only had the poachers been disassembled, their parts had been arranged in alphabetical order by the blade-lion. A not terribly subtle message that couldn't be accidental.